The word paradigm, derived from a Latin word meaning to show beside, in the sense of an example or model, was first used to mean a scientific model or world view, by American physicist and philosopher of science Thomas Kuhn in his now-famous book “The Structure of Scientific Revolutions” published in 1962. He also introduced the term ‘paradigm shift’ to mean a fundamental shift in the basic concepts upon which science, or at least some major part of science, was based. 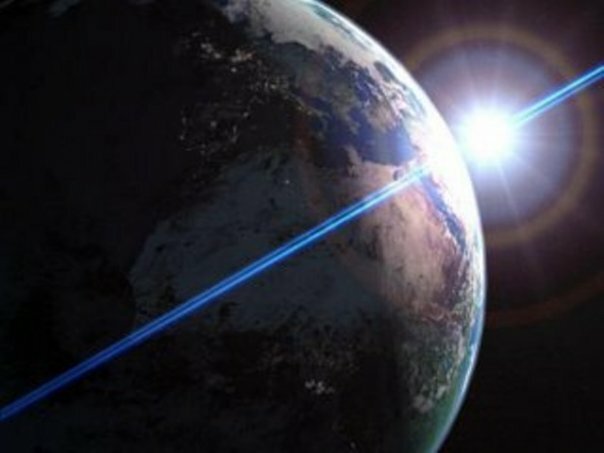 Examples of major paradigm shifts include the shift from an Earth-centered cosmological model to a planetary solar system model, the shift to relativity, and the shift to quantum mechanics. Paradigm shifts do not negate everything known before, but they do profoundly change the way we understand the nature of reality. A paradigm shift is the result of new evidence that contradicts the existing paradigm, and that evidence is most often discovered by scientists working in areas at the fringe, or outside of the existing paradigm. In every major paradigm shift, the scientists discovering them have been ridiculed by scientists in mainstream academia, who consider them to be misguided. Relativity and quantum physics were considered to be separate, and even competing and conflicting paradigm shifts, but together, they have revealed an expanding quantized reality where the location, relative motion and consciousness of the observer interact dynamically with and influence the nature of physical reality. Thus they paved the way for the paradigm shift being discussed here. We now realize, and can demonstrate mathematically, that no paradigm can be a theory of everything if does not contain consciousness, and as we’ve discussed in earlier posts, reality consists of mass, energy and a third form, in a nine-dimensional finite space, time consciousness domain, expanding out of a structured transfinite domain into infinity. 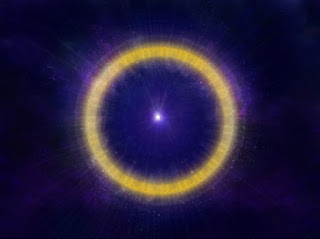 The connections between consciousness and space-time domains are well-defined in the Calculus of Distinctions. The calculus of distinctions (CoD) is a system of mathematical logic uniquely and ideally suited to describing reality in terms of integral multi-dimensional quanta of mass, energy, space, time and consciousness. I will not post the mathematical derivation of the CoD here, because it is too lengthy and technical, and I have published it elsewhere. (Notably in “Infinite Continuity” 1990, in “Transcendental Physics, 1997 and 2000, in “The Calculus of Dimensional Distinctions in Elements of mathematical Theory of Intellect”, 2003, published in Moscow with Vladimir Brandin, in “Reality Begins with Consciousness”, 2013 with Vernon Neppe. 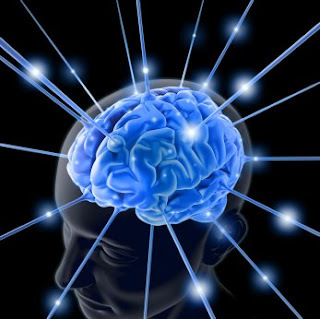 See www.BrainVoyage.com), and journal articles. The calculus of distinctions has advantages over the calculus of Newton and Leibniz, not the least of which is the fact that the CoD is designed to deal with quantum distinctions, and the calculus of Leibniz and Newton was not. I will describe briefly here how the CoD was derived and applied to the elementary particles that make up physical reality. As I stated in an earlier post, the good news is: the calculus of distinctions is, in principle, easier to understand than the calculus used today. It is more basic than the calculus of Newton and Leibniz; it works the way your mind works. And learning the basics of the calculus of distinctions is like starting at the beginning of the story, not in the middle. The calculus of distinctions is logically prior to all mathematical expressions. Much like algebra and algebraic symbols, the calculus of distinctions is the logic of calculation, and distinctions are the objects of that calculation. The awareness of reality begins with the first distinction drawn by a conscious entity: the distinction of self from other. And the distinction of self from other begins with the awareness of a feeling of being inside, as opposed to outside, experienced as I am ‘in here’, everything else is ‘out there’. This distinction is a necessary precursor to drawing other distinctions within self, and in other. It is the basis of all awareness of separation and combination, similarity and difference, equivalence and counting, and thus all mathematics. The distinctions of past, present and future lead to awareness of time, cause and effect, and finally, all science and knowledge. In space and time, we have distinctions of extent in 3 or more dimensions, and we have distinctions of content, as of mass and energy, and distinctions of intent or meaning, as in consciousness. Distinctions beyond the distinction of self from other are defined in units of mass/energy/consciousness equivalence. In a quantized reality, it is logical, and very useful to define the unitary quantum distinction in terms of the smallest possible particle of the substance of reality. That particle is the electron. Using Einstein’s mass-energy equivalence expressed by E = mc2, (true in SI units, i.e., where energy is measured in joules, mass in kilograms, and the speed of light in meters per second) we will ‘normalize’ our quantum unit by defining the measures of the electron as the basic units of measurement of quantum reality. This means that the quantity of mass and energy, and the volume of the electron are all set equal to one. These units are similar to Planck’s quantum units, but different from Planck units in a very important way: Planck’s units are derived by setting the five physical constants (the gravitational constant, the Coulomb constant, the Boltzmann constant, Planck’s constant, and the speed of light) equal to one. We are setting the basic mass, energy, space, and time measures of the electron equal to one. Planck’s units are designed to simplify calculations involving the known ‘universal’ constants, and to remove the arbitrariness of macro-scale measurement units like feet, pounds, meters and grams. By redefining quantum units the way we have, we have defined measurement to be based on the four measurable features of physical reality: mass, energy, space and time, and the consciousness act of the drawing of distinctions, which is also an integral part of measurement. This removes the arbitrary aspect of measurement, as Planck units do, but we have also found a way to, at least tentatively include the action of consciousness. Defining the TRUE quantum unit in this way and using it as the unitary distinction in the CoD, we avoid the intractable difficulties of the current mathematics with more than two dimensions, by starting with 3D distinctions. We shall see that this greatly simplifies the mathematics needed to describe physical reality. We know that stable elementary particles are spinning rapidly, at angular velocities even approaching the speed of light, and they are stable, because they don’t fly apart like an asymmetric lump of clay on a potter's wheel. This means that they must have symmetrical shapes. Planck’s discovery that reality is quantized provides an elegant way to determine the size and shape of the electron, and subsequently of the quantum unit, because, in a quantized reality, only certain symmetrical shapes are possible. I’ll go into this in more detail in technical papers, but for the purposes of this discussion, it is sufficient to say that symmetrical particles, spinning in three dimensions, behave as if they were spherical. This is because by spinning so fast they occupy the volume of a sphere. Contrary to the opinions of most physicists, classical physics principles do apply at the quantum level. Classical centripetal forces cause the extremities of spinning particles to be pulled toward the center, or shrink in size, increasing their spinning velocity, like a spinning skater. But, just as the quantum is the limit, or bottom, of physical mass, it is also the bottom of physical size, because the speed of light is the upper limit on relative velocity, which determines the limit on how small the particle can be. Thus, in the normalized electron unit we have the definition of the most basic unit of mass, energy and volume. Add to this the presence of the third form, carrying the logical structure of consciousness, and we have the Triadic Rotational Unit of equivalence, or TRUE unit as the basic unit of all three types of measurement: extent, content and intent. I note in passing that the normalizing of the units of measurement to the TRUE unit, involves combining quantum and relativistic principles. Thus, by making the TRUE unit the basic distinction of the calculus of distinctions, we assure that the mathematics growing out of this will integrate relativity and quantum physics. In addition, the mathematics and geometry describing physical reality are greatly simplified because all of the particles that make up the physical universe, and any combination of them, are measurable in whole-number multiples of a basic equivalence unit, the TRUE unit. This normalizes all equations describing the combinations of quarks, electrons, protons and neutrons, atoms and molecules that make up the physical universe into simple Diophantine, or integer equations. In future posts I will show how this approach leads to the discovery of the mathematical/geometrical/logical nature of the third form, which we’ve called gimmel in these posts, and how several long-standing puzzles of physics are solved using TRUE units of mass, energy and gimmel. THE LARGE HADRON COLLIDER: IF ALL YOU’VE GOT IS A HAMMER, EVERYTHING LOOKS LIKE A NAIL! EVERYTHING LOOKS LIKE A NAIL! The Large Hadron Collider (LHC) is by far the largest machine on the planet. The LHC is constructed in a 17 mile circular tunnel about 570 feet beneath the ground, near the city of Geneva Switzerland. It is designed to accelerate atomic and subatomic particles to near light speed and then smash them together. The idea is that by inspecting the pieces flying apart from the point of collision, we can learn how the ‘stuff’ of the physical universe works. Even before the LHC was built, we had already identified most of the major parts of an atom, but we had questions about how such small particles spinning with so much energy could be stable. Why were quarks combined in threes, never twos? And why did the particles have so much more mass combined, than they did separately? There must be something lurking inside the nucleons that would explain these puzzles. When first started up in 2010, The LHC particle accelerating power was about 4 times that of any previous ‘atom smasher’. Looking at the data generated from thousands of collisions, they saw evidence of many different pieces, making up the so-called ‘particle zoo’. But no Higgs boson, and they still didn’t have all the answers they needed to understand how subatomic particles work. The particle physicists suggested that, with even more power, the LHC might simulate the conditions of the big-bang origin of the universe (On a much smaller scale, of course), and they hoped to find all the particles predicted by theory (the Standard Model) including the Higgs boson, the so-called “God Particle”; and they even dreamed they could have the long sought-after Theory of Everything. So, in 2013, the LHC was shut down in order to upgrade it to an accelerating power about twice the power of the first run. In May, 2015, they started it up again, and sure enough, there was a track that fit the predicted trajectory of the Higgs boson! But even the “God particle” didn’t answer all the questions. Among the scattered, broken parts of protons and neutrons, there were still questions. For example, if the Higgs boson imparts mass to elementary particles, how does it do that? What is the mechanism? Lest what I am about to say be interpreted as critical and dismissive of this great accomplishment of science and engineering called the Large Hadron Collider, let me say, up front, that I am very happy that this giant machine exists, because without the data produced by it, the discoveries that Dr. Neppe and I are making with the new sicentific paradigm, TDVP, would be impossible. Having said that, I feel that we must put the LHC into proper context. We are just at the beginning of understanding the true nature of reality. We are like children standing on the beach of an ocean stretching away into infinity, with a toy shovel and a Dixie cup in our hands, dreaming of building a bridge to the other side of the ocean. Even though the LHC incorporates the brilliant work of literally thousands of mainstream scientists from all over the world, its use to unlock the secrets of reality are rather crude. Let me suggest an analogy: Suppose a not-too-bright child has his grandfather’s pocket watch, which happens to be a beautiful gold Elgin timepiece manufactured more than 100 years ago, and he wants to know how it works, but the only tool he has is a hammer! He taps on the watch with the hammer and it flies apart. He gathers up the pieces and looks at them, and sees cog wheels, metal plates, screws and a spring, but he still doesn’t know how a watch like this works. “Maybe I didn’t hit it hard enough”, he thinks, so he gets another watch, and hits it harder. He finds more pieces, but still doesn’t know how it works. Do you think he might eventually come to know that the whole is greater than the sum of the parts? Not by just using his hammer! Therefore it's NOT PHYSICS ! Thank you for your comment. It may surprise you to learn that I actually agree with you to the extent that simply put, physics as one of the original ‘natural’ sciences, is defined as the study of matter and energy interacting in space and time. That physics is a very simple science that allows us to predict the future positions of bodies in motion to some degree of accuracy, but even falters when confronted with the three-body problem, and can’t touch most of the real problems facing humanity. Real science, the science of the future, has to be more than that. It can’t be confined to the finite intellectual box of materialism. Science is the effort to understand all of reality. That includes at the very least, everything we experience as sentient beings. And not everything that is real can be directly measured in units of mass, energy, space and time. Think of 'dark matter' for example. Science confined to that which is directly measurable is a sterile and limited science. With the paradigm shifts of relativity and quantum mechanics, physics was expanded, pushed to the very edge of the original definition. We learned from the work of Einstein, Planck, Schrӧdinger, Bohr, and Heisenberg that the observer is actually an integral part of the experiment. As Nobel Prize winning theoretical physicist John Wheeler said; “There is a strange sense in which this is a participatory universe”. The real frontiers of science lie in investigating the interactions of consciousness with physical reality at all scales of measurement from the quantum to the entire expanding universe. So perhaps, I should have called the expansion from simple physics to the study of reality ‘transcendental science’. The problem with this is it would accept and promote the artificial compartmentalization of science. So I chose ‘Transcendental Physics’ to get your attention. … AND REALITY IS SIMPLE! In these posts, I plan to bring these findings and discoveries together, and into sharper focus. The result is the Triadic Dimensional Distinction Vortical Paradigm (TDVP), a Simple, Spiritual, Comprehensive Scientific Paradigm. If we are to survive and advance as a species, we must change the way we look at reality, and the way we relate to reality, from the tiniest quantum of mass, energy and consciousness, to our bodies, to the entire physical universe and the infinity beyond, within which everything exists. We will start with consciousness, because consciousness is the only thing we are directly aware of. The first distinction that must occur before any awareness of objective reality is possible, is the distinction of self from other. Only when this distinction occurs, are we able to ask: ‘What is consciousness?’ Consciousness is the essence of ‘self’, the awareness of ‘in-here’ versus the ‘out-there’, and that is precisely why it is so difficult to define. Expecting consciousness to investigate and define itself is asking the subject to become its own object. This is, e.g., like trying to get an eye to observe itself directly, without the aid of a mirror. We might try to investigate consciousness in someone else, to arrive at a working definition, but that would be like trying to capture the essence of a Mozart symphony by investigating the musical instruments, or the amplifier through which the beautiful sounds come. Neuroscientists’ search for consciousness in the brain, brain cells, or microtubules, has produced a lot of good information about the functioning of the brain and nervous system, but virtually nothing about consciousness. Recognizing the impossibility of finding consciousness (not just evidence of its functioning) ‘out-there’, in someone else, one might turn to looking for it ‘in-here’, in one’s self. We soon find ourselves drawn into an infinite descent: Just like I’m not my hat, shoes, or clothes, my consciousness is not my head, feet, or body. I’m not my hands, eyes, ears or nose, and I’m not my brain. My consciousness appears to be behind, beyond or beneath, all of these things, it seems to be more ‘in-here’ than any aspect of bodily existence. Interestingly, this is where relativity and quantum physics come into the picture. We have arrived at what we know now about the ultimate nature of physical reality by pursuing an infinite descent into the structure of matter and energy. Searching for the ultimate building block of the physical universe, we probed beyond molecules and atoms, into the world of electrons, protons and neutrons, and yet beyond, into the world of quarks, gluons and bosons. But there was a bottom to this descent: the quantum; more specifically, we have found the TRUE unit to be the smallest possible unit of measurement. Could there also be a ‘bottom’ to the infinite descent of consciousness? As I said, the first distinction that must occur before any awareness of objective reality is possible, is the distinction of self from other. We are only secondarily aware of everything else, obtained in a very limited and indirect manner, through the five senses. We have extended the physical senses with increasingly finer-scale instrumentation, like microscopes and telescopes, and learned that our senses convey only a very small part of the spectrum of informational energy flooding our universe. For example, our eyes detect only about one-third of one percent of the instrumentally detected electromagnetic spectrum. It is from that tiny bit of the available information, combined with similarly reduced information from the other senses that our brains construct images of reality in our consciousness. The relationship of your consciousness and mine to the ‘out-there’ objective reality of the universe is conceptual, because the images of reality constructed by our brains are no more than incomplete and imperfect representations, affected by our memories, projections and beliefs blended with the raw, indirect data of our senses. What is consciousness? The brilliant physicist Erwin Schrӧdinger, author of the Schrӧdinger wave equation and the ‘both dead and alive cat’ paradox, wrote one of my favorite books of all time entitled “What is Life?” in which he said there is no evidence that consciousness is plural. Could your consciousness and mine be part of a broader, deeper form of consciousness? What Dr. Vernon Neppe and I have learned through the last seven years of research is that consciousness, time, space, matter and energy are inseparable bound together, mathematically and dimensionally at the quantum level. This means that consciousness, like mass and energy is conserved and quantized in the physical universe. So the infinite descent of consciousness into itself has a bottom: it is the individual quantum self, which is part of an infinite broader form of consciousness that permeates all space, time, matter and energy. In this sense, I believe Schrӧdinger was right! In future additions to this post, I will be connecting the dots between mass, energy, time, space, and consciousness. Most people, mathematicians and physicists included, think that the math of relativity and quantum physics is necessarily more complicated than the math of classical physics. But, as pointed out in the last post, physicists are using an inappropriate calculus, a calculus that doesn’t apply at the quantum scale. This misapplication of the calculus of Newton and Leibniz has caused many physicists to believe that the rules, i.e., the laws of physics, are different at the quantum scale than they are at the everyday macro-scale. If this were the case, then there would be a point on the scale of measurement where the macro-laws switch over to the quantum scale laws. But this is not the case. The brilliant Hungarian-born physicist and mathematician John von Neumann, considered by many to be second only to Einstein as a scientific genius, proved that there is no such ‘switch-over’ point, and that all physical systems are quantum systems. This means that the apparent incompatibility of quantum mechanics and relativity is caused by the misapplication of mathematics rather than a real physical difference. On the universal scale of size, we exist in the middle, that is to say, the scale of ordinary objects we observe and measure in our laboratories are about half way between the size of atoms and the size of galaxies. We know that the sub-atomic particles that make up the physical universe are quantized, extremely small and that they are spinning at extreme angular velocities. By ‘quantized’ we mean that every particle of physical reality is a whole-number (integer) multiple of a very small unit. Note: From this point on, you are entering the realm of new science. What follows is a ‘thought experiment’, published here for the first time. Suppose we magnify the quantum world to the point that an elementary particle appears to be about the size of a baseball. Further suppose that your consciousness merges with the quantum world. What would that experience be like? To find out, let’s take Planck, Einstein and von Neumann, the three leading scientific geniuses of the 20th century, at their word. Planck said that the substance of reality is quantized, and that matter and energy occur only in integer multiples of a basic quantum unit. Einstein said that mass and energy are simply two forms of the same thing, and von Neumann said all reality, from the single quantum unit to the largest galaxy in the universe, are quantum systems. Furthermore, Planck said that there is no matter as such, what appears to be solid matter is energy, and the source of that energy must be an infinite intelligent mind; Einstein said that just as mass and energy have a lower limit in the extent to which they can be divided: the quantum, there is an upper limit on movement or velocity, relative to a stationary observer: the speed of light; and von Neumann said that the transfer of quanta of mass/energy ends in the consciousness of the observer as information. These conclusions, based on the discoveries and the empirical validations of relativity and quantum physics, make our experience of the quantum world very different from our experience of the macro-world of everyday life in a physical body. Does this contradict von Neumann's conclusion that the difference, sometimes called the 'Heisenberg cut' between the macro world and the quantum world, does not exist? No, because this difference occurs at the end of the descent from the macro to the bottom, the smallest quantum, and the rules we find at the end of divisibility of substance are the logical rules of the calculus of distinctions, that also apply at the macro level, where the rules of the Newton Leibniz calculus becomes a less accurate sub-set of the rules of the calculus of distinctions. In the quantum world, the substance of reality consists of three forms, measurable as quanta of mass, energy and a third form. And reality is encompassed in nine dimensions of extent: Three of space, measurable in multiples of integers, three of time, measurable in imaginary numbers, and three of consciousness, measurable in complex numbers. Thus we see that the quantum world reflects the structure of quantification discovered by mathematicians, and obeys the logic of the theorems of the discipline known as number theory. The lower limit of the quantum and the upper limit of relative velocity combine to define a basic mass/energy/space/time equivalence unit we call the triadic rotational equivalence unit, or the TRUE quantum unit for short. This may sound like the product of a fanciful imagination, but it is not. The TRUE quantum unit is derived mathematically from the empirical data of particle colliders, and known principles of mathematical physics. The details of this derivation have been published in a number of technical papers and the book “Reality Begins with Consciousness” by Neppe and Close. The TRUE quantum unit normalizes all measurements to integers, so that equations describing the combination of elementary particles are integer equations, known to mathematicians as Diophantine equations. This simply means that the relevant solutions to these equations are integer multiples of the TRUE quantum unit. This, along with two well-known mathematical theorems, simplifies Theorem. They determine how elementary particles combine to form stable structures. In the next post, we will look at how the TRUE quantum unit relates to quarks, electrons, protons and neutrons, and why the calculus of distinctions is the perfect mathematical/logical system to describe multi-dimensional quantized reality in the simplest possible way. Why do so many intelligent adults think that anything beyond simple arithmetic is ‘Greek to them’, and too hard to learn? Why are otherwise smart people intimidated by a simple equation like A2+B2= C2? The answer is simple: It’s because of the way math is taught in our schools. There is little or no explanation of what math really is in simple, basic terms. This is because educators want to make mathematics practical. Before the calculator and the computer, we sometimes needed to do things like make change, or find the area or volume of something, so we were taught a set of rules for dealing with numbers that would allow you to add, subtract, multiply and divide so you could do simple calculations and balance your checkbook. Now you don’t even have to know how to do that; your smart phone will do it for you. No one needs to know how to do ‘long’ division anymore, let alone how to deal with equations, unless you want to be a scientist or a technician. Then you’ll have to learn some math skills, but even then, it is not considered necessary to know what underlies the operations and processes of applied mathematics. Mathematics has been broken up into a number of disciplines that seem to be almost unrelated, except for the fact that they all use numbers. In this way, mathematics has become no more than tools to be used for solving problems that can be quantized, i.e., reduced to numbers. But reality exists in meaningful mathematical structures and patterns. Mathematics can be much more than a tool for problem solving. Mathematics can be used to understand and explain the essential nature of reality. Mathematics is the basic structure of reality expressed in numbers. The way math is taught in our schools is like telling a story by starting somewhere in the middle and expecting the listener to already know the back story. The fact that it even works sometimes, attests to the fact that the real basics of math are analogous to the way your brain actually works. Mathematics should be easy to learn because mathematical logic is the most natural thing there is for the brain. Every conscious being instinctively knows the logic underlying mathematics from the beginning of life. But we soon forget the basic structure of reality, because it is the part of our consciousness that is taken for granted. In the multiplicity of experiences on this planet, we are drawn out of the conscious realization of basic truths at an early age, and very soon we can’t see the forest for the trees. Learning the terminology of the calculus of Newton and Leibniz, the advanced math of science, is like learning a foreign language: you are confronted with sophisticated terms like complex algebraic polynomials, measurement variables, discrete and continuous functions, limits, infinite series, and infinitesimals. You have to learn that a continuous function can approach a specific finite value as an independent variable of the function approaches zero. Then you can begin to calculate things like the orbit of a satellite, or the trajectory of a rocket. But this is a giant leap into some of the more exotic trees of the forest of mathematics that neglects the basics. Even the small jump into calculating your utilities bills, neglects the logical basics of mathematics. The mathematics used by scientists today has, as its most important system of logic, the calculus of infinitesimal change, which was developed by Leibniz and Newton, about 350 years ago. But the calculus of Newton and Leibniz simply does not work at the quantum level. Why? Because it depends on the assumption that reality can be divided into ever smaller bits, and this is not actually the case. We have known for more than 70 years that we exist in a quantized world. There is a smallest bit, beyond which no division is possible. The calculus works as well as it does only because that smallest bit is so much smaller than anything we can directly measure, that for the purposes of building things from skyscrapers to microscopic electronic circuits, the error is not significant. But for describing quantum phenomena, the calculus is totally inappropriate and leads too much of the so-called ‘weirdness’ of quantum experiments. The calculus of Newton and Leibniz, like science in general today, does not involve consciousness. The new calculus of TDVP does, and I believe that the average person is more than capable of learning enough of the new mathematical and geometrical logic to understand how consciousness can be included as a real part of the mathematical description of reality. I believe that I can teach anyone of average intelligence the basics of the calculus of distinctions. Oh, oh! There’s that word calculus again. You may object to my declaration that I can teach anyone the basics of a calculus, on the grounds that only a handful of geniuses like Leibniz and Newton understood the calculus when it was introduced. In fact, I will tell you that only a few people understand the calculus today. Even most scientists and engineers do not understand the calculus. They have learned the terminology, and they have accepted the fact that the calculus works to solve difficult problems, and they know how to use it, but most of them have no idea what it really is, or why it works the way it does. They simply plug numbers into equations and turn the crank to get an answer, and they use tables of certain useful functions and solutions to differential equations, taking advantage of work done by others years ago. Of course, that’s practical. There’s no need to re-invent the wheel to build a car. It’s analogous to the way we can know how to turn on the TV, or use our computers and smart phones without having a clue about how they work. Just like you don’t have to understand what electricity is to use it, you only need to know how to flip a switch, scientists, engineers and technicians only need to know how to apply the calculus; they don’t have to understand how or why it works. But here’s the good news: the calculus of distinctions is easier to understand than the calculus used today. It is more basic than the calculus of Newton and Leibniz; it works the way your mind works. And learning the basics of the calculus of distinctions is like starting at the beginning of the story, not in the middle. One way to say this is: The calculus of distinctions is logically prior to all mathematical expression. The awareness of reality begins with the first distinction drawn by a conscious entity: the distinction of self from other. And the distinction of self from other begins with the awareness of a feeling of being inside, as opposed to outside, experienced as I am ‘in here’, everything else is ‘out there’. This distinction is a necessary precursor to drawing distinctions within self, and in other. It is the basis of all awareness of separation and combination, similarity and difference, equivalence and counting, and thus all mathematics. The distinctions of past, present and future lead to awareness of cause and effect, and finally, all science and knowledge. Thus, the calculus of distinctions is the logic of calculation, and distinctions are the objects of that calculation. In the current teaching of mathematics, the necessarily prior conscious act of the drawing of the distinctions of self from other, and the acts of the drawing of distinctions in self and other, are not acknowledged, even though they are the basis of all quantization, observation and measurement. They are ignored because they are so basic. If they are recognized at all, they are considered to be given without question, so that the student can get on with the practical business of learning how to do calculations consisting of applying the basic operation of calculation, which is addition, its secondary extension, called multiplication, and their reversals, subtraction and division, to objects that are assumed to be completely separate from the consciousness of the one doing the calculation. As we now know from the revelations of relativity and quantum mechanics, this separation is an illusion. So what is consciousness? Consciousness is impossible to define using the current materialistic paradigm of science because it is the only thing that is experienced directly. Physical reality is only experienced indirectly through the senses and extensions of them. Consciousness is inseparably entangled with our experience of physical reality, but trying to explain it purely in terms of external physical reality is like trying to explain the experience of ‘in here’ using only the objective terms of ‘out there’. Having established the primary importance of consciousness, let’s look at what consciousness does and how it does it. The functions of consciousness are triadic: The primary function of consciousness is drawing the distinction of self from other. The secondary function of consciousness is the drawing of distinctions in other. And the tertiary function of consciousness is the organization of distinctions into logical patterns. Reality as we experience it is triadic, consisting of consciousness, distinctions and logical patterns of distinctions. All distinctions exhibit the triadic structure of content, boundary of containment, and extent. To describe the quantized nature of physical reality, we must measure distinctions using a basic quantum unit. The variations of size, shape and content of distinctions are describable in whole numbers of the basic units. There are three kinds of variables of measurement: variables of content, extent and intent. Each of these are triadic, i.e. they are distinguished in three ways: Content is distinguished as mass, energy and consciousness. Extent is distinguished as space, time and consciousness. Intent is distinguished as information, meaning and purpose. In this series of posts we will see how the most basic quantum unit, which we call the Triadic Rotational Unit of Equivalence, is derived from particle collider data, and how the calculus of distinctions applied to physical reality using the TRUE quantum unit as the unitary distinction proves that the substance of reality is composed of three forms measurable as mass, energy and a third form that we are calling gimmel. The existence of this eternally entangled triad also proves that a primary form of consciousness existed before the first particle of the physical universe could have come out of any big bang origin event. WHOLE NUMBER SEQUENCES AND QUANTUM REALITY 1,2,3,… Infinity!!! Using a common analogy, one might say that science and technology as we know them today constitute just the tip of the iceberg. Approximately 90% of an iceberg floating in the ocean is beneath the surface. Today’s science has been looking only at the tip of reality; most of it is hidden. But, like most analogies, this analogy is not perfect. Most of today’s science is based on and limited to materialistic concepts. If the sum total of today’s scientific knowledge is the tip of an iceberg, physical reality is the rest of the iceberg, plus all the oceans of the world. As we shall see, simple math shows us that reality is much more than that which has weight and takes up space. In fact, it has been proved mathematically that reality is infinite. The mathematics used by scientists today has, as its most important system of logic, ‘the calculus’ of infinitesimals which was developed by Leibniz and Newton, about 350 years ago. Almost all of our detailed understanding of physical reality and the resulting technology we have today, employs ‘the calculus’, but the calculus of Newton and Leibniz simply does not work at the quantum level. Why? Because it depends on the assumption that reality can be divided into ever smaller bits. This is not actually the case. We have known for more than 70 years that we exist in a quantized world. There is a smallest bit, beyond which no division is possible. The calculus works as well as it does only because that smallest bit is so much smaller than anything we can directly measure, that for the purposes of building things from skyscrapers to microscopic electronic circuits, the error is not significant. But for describing quantum phenomena, the calculus is totally inappropriate and leads to much of the confusion that causes scientists to think that quantum experiments produce weird results. Max Planck, who discovered the fact that we live in a quantized universe, said: “Science advances from funeral to funeral!” meaning that scientists, like most people, get locked into a paradigm, - a way of thinking, and cannot see beyond it. Right now, they can’t seem to see beyond the calculus and binary logic. But in order to begin to investigate the rest of the iceberg, we have to go beyond the calculus and binary logic. Binary logic is the basis of a mathematical system called Boolean algebra and today’ computers are simple binary computing machines. Again, this has been sufficient for today’s technology for the most part, but, like the calculus, it is inadequate to deal with quantum phenomena and the inclusion of consciousness, which quantum physics demands. What does work, is the Calculus of Distinctions and triadic logic. They are basic to the Close-Neppe paradigm. But, you may think, if I don’t understand the calculus of Newton, how can I expect to understand a new calculus and logic? Fortunately they are more basic than ‘the calculus’ and binary logic, and easier to understand! OK. With that intro, we are ready to start. Contemplate the symmetrical sequence of equations above and below. They are known as Diophantine equations (after the Greek mathematician Diophantus). Notice that they progress from I to 3 dimension-wise (indicated by power: a 2D area is an integer squared, a 3D volume is an integer cubed. All symmetric particles are volumetric. Dr. Vernon Neppe and I have been working together for nearly seven years to develop a comprehensive scientific paradigm that will serve as the basis for the scientific exploration of every legitimate type of human experience, both physical and spiritual, now excluded from serious study by the current materialistic paradigm. We are publishing most of our findings in peer-reviewed papers published in professional journals under the heading of the Triadic Dimensional Distinction Vortical Paradigm (TDVP) with bylines of either Neppe and Close or Close and Neppe. Those papers and articles are written for scientists, mathematicians and philosophers with careful adherence to professional standards, and they contain many technical details not readily understood by readers without considerable scientific and technical training. On this blog, on the other hand, I am attempting to present much of the same material in an easier to understand format. That means that most of the math, and technical jargon are left out, and it also means that I have more freedom to include personal observations and experiences. In this venue, I can include more details that would be considered too subjective by peer reviewers and the editors of professional journals to get published. Examples include early life experiences like that briefly described in the post entitled “My Story - The Vision” and the personal OBEs I experienced in the Great Pyramid, and in the ancient city of Petra, described in the post entitled “Egypt Trip Out-of-Body Experiences”. Many brilliant men and women of the recent and distant past have known that eventually the quests for knowledge of the nature of physical reality and the nature of spiritual reality would have to be integrated into a single search for truth. I believe the time for that integration is NOW. We are at the point in human history where it is critical that this integration must be accomplished. Without it, humankind may self-destruct. The loss of meaning and purpose in science due to equating objectivity with materialism has filtered down to the general populace and is responsible for much of the increase in crime and violence in the civilized world. It is high time to get science out of the dark ages and dead end of materialism! Today, more and more people are waking up to this danger. And an increasing number believe that there should be no conflict between real science and real spirituality. The concepts of “gimmel” and “TRUE units” presented here are of great importance to the future of science and human civilization because of their inescapable implication: They make it clear that the physical universe as we know it through the current scientific paradigm is just a small part of a much larger physical and spiritual reality that proceeds under natural law. They reveal the existence of a primary form of consciousness that has existed from the beginning of space and time as the intelligent organizer of meaningful pattern and order. I am presenting the Paradigm of Conscious Reality that we’re metaphorically referring to as the “God Matrix” here in an effort to promote the realization in as many people as possible that the purpose of life on this planet and across the multi-dimensional universe is to grow in the understanding of the truth of Primary Consciousness. We are calling the paradigm that is revealed by gimmel and TRUE analysis the God Matrix because it proves that a pervasive primary form of consciousness had to exist before the first atom of the physical universe could form from any big-bang-like origin event. We will explain how a mass-less, energy-less third substance (gimmel), impacts physical reality as an extended form of consciousness, and influences our very existence and everything in the cosmos, from the tiniest subatomic particle to the largest cosmological system. These concepts, and the comprehensive paradigm shift we call TDVP, embody a new, more consistent way of understanding reality that encompasses and integrates the fundamental ideas of the theory of relativity and quantum mechanics. Gimmel and TRUE units are fresh new ideas that dispel what mainstream physicists have called the ‘weirdness’ of quantum physics. They are carefully derived by logically analyzing what we know about mathematical physics and the role of Primary Consciousness and human consciousness in creating and sustaining the reality we experience. What the God Matrix does is re-connect science with its metaphysical roots and re-unite science and spirituality, two approaches to truth that never should have been separated. TDVP includes three new, more comprehensive mathematical/logical systems called the Calculus of Dimensional Distinctions, Dimensional Extrapolation, and the Consciousness Conveyance Equations. Their application to known laws of nature have resulted in the discovery of the nine dimensions of reality and gimmel and TRUE analysis, which have produced answers to conundrums that have puzzles materialistic science for decades. The God Matrix is the beginning-less, end-less source of both physical and spiritual reality. 1. The substance of physical reality when measured, is found only in multiples of quanta of mass and or energy. That means that the content of all elementary particles occur in whole number multiples of quantum units. 2. Mass and energy are exchangeable, i.e., under certain circumstances, mass is converted to energy, and under other circumstances, energy is converted to mass this equivalence is expressed mathematically by the equation E = mc2. 3. The mass of the electron is the smallest mass of any of the major elementary particle that make up the universe. Taking that mass as the basic quantum unit, the masses of all subatomic particles are whole number multiples of that mass. 4. The universe is expanding at a tremendous rate in all directions (i.e. in all dimensions). This is because the universe is energy abundant, meaning that the energy of expansion exceeds any force acting to draw the substance of the universe back together. 6. Because they are spinning so rapidly, all elementary particles behave as if they were spherical. This is borne out in numerous quantum experiments. 7. If the combination of two or more elementary particles is asymmetric, then they will fly apart. Think of a lop-sided lump of clay spinning on a potter’s wheel. Long before a lop-sided object reaches even a small fraction of the speed of light, it will fly apart. 8. The basic quantum unit, the Triadic Rotational Unit of Equivalence (TRUE) is defined as the mass energy volumetric equivalence unit. 9. All distinctions of unitary content and unitary extent, are whole number multiples of the TRUE unit. So the combination of two particles of different sizes, when the shape factor (that is 4/3π for spheres) is factored out, becomes A3 + B3, where A and B are the radii of the two spheres. 10. Fermat’s Last Theorem tells us that A3 + B3 ≠ C3 if A, B, and C are integers. This means that two whole-number symmetric spinning particles cannot combine to form a third whole-number symmetric object. 11. However, three whole-number symmetric spinning particles can combine to form a fourth whole-number symmetric object. This explains why protons and neutrons are composed of three quarks, not two. This example is just one Diophantine solution of the Conveyance Equation. My derivation of the conveyance equation and application to quarks, electrons, protons and neutrons has been peer reviewed and published in several articles, and papers. See the post ‘PUTTING CONSCIOUSNESS INTO THE EQUATIONS PART 20 SUMMARY AND CONCLUSIONS’ for references. When elementary particles, multiples of TRUE units, combine to form more complex particles, protons and neutrons are formed, and they combine to form the stable elemental structures of the physical universe. However, without a third form of the substance of reality, not directly measurable as mass or energy, no physical reality could exist. Without symmetrically spinning stability, no stable physical universe could exist because of the second law of thermodynamics, which dictates that any finite physical system always decays toward maximum entropy, i.e. total disorder, lacking structure of any kind. The conveyance equation contains the mathematical and geometrical logic that determines the structure of the universe. But without the third form, which we have called gimmel, there would be no stable compound particles. This means that gimmel, the third form had to exist from the beginning. Otherwise, no particle could ever form out of a big bang explosive origin event. CONSCIOUSNESS HAS EXISTED IN SOME FORM FROM THE BEGINNING OF THE PHYSICAL UNIVERSE, QED. If our universe were composed of random debris from an explosion originating from a mathematical singularity, because of the continuous operation of the second law of thermodynamics in an expanding debris field, simple particles accidentally formed by random mass/energy encounter, would decay before a new random encounter could occur and form a more complex combination. The number of random encounters would decrease as the debris field expands because there would be increasingly less debris in any given volume of space. Thanks to gimmel, our physical universe has escaped this fate of dissolution. While it may change and evolve, its form, and even the way it evolves, it will always reflect the intrinsic logical order and patterns of the substrate of reality within which it is embedded. Logical structure is the natural state of reality, not chaos.